NCIA’s 4th Annual Cannabis Business Summit & Expo, the most influential cannabis trade show in the U.S., recently announced its 2017 agenda, and Women Grow is pleased to announced San Diego Chapter Co-Chair, Kimberly Simms, is confirmed to participate in two sessions. Prior to the conference commencing, Kimberly, along with five other accomplished cannabis industry lawyers, will lead a full-day training session titled NCBA Presents: Continuing Legal Education for Lawyers. In this session, the National Cannabis Bureau of Attorneys (NCBA) present five important topics crucial to any lawyer’s successful transition into the new regulatory environment, including proper business structures, financial compliance, environmental requirements, the truth about hemp/CBD, and the ethical issues surrounding this ever-growing field. Attendees will leave with the tools necessary to help guide their clients through this shifting landscape and prepare for the development of a new economy in California. Participants are eligible to receive six hours of California MCLE Credit (4.75 general and 1.25 ethics). CLE credits for CO are pending approval. Kimberly will also be speaking on educational Track 1 – The Fine Print: Money, Law and Your Business on a panel titled “Let’s Make a Deal! Business Relationships & Contract Best Practices.” Her panel will take place on the second day of the Summit, on June 14, 2017. Kimberly speaks alongside Lance Rogers, Partner at Greenspoon Marder. In addition to these two sessions, attendees of Cannabis Business Summit & Expo have the opportunity to attend numerous high-value, curated educational programs, including personalized, hands-on workshops, a five-track general summit, and innovative, peer-reviewed presentations. Read the full agenda here. 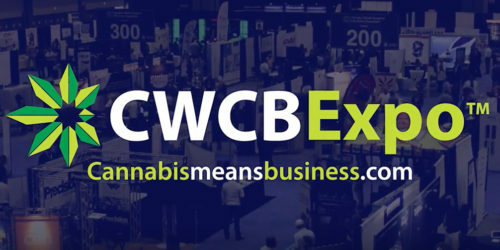 As an official event partner and exhibitor of Cannabis Business Summit & Expo, Women Grow members receive 15% off registration costs by using code WG15. Register now to see Kimberly and other cannabis industry leaders speak.